Hello my fellow foodies! I have to start by apologizing for being MIA over the summer. Time may have flown by, but I am still here and baking with natural and healthy ingredients as always! 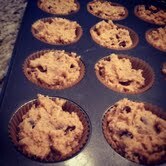 The recipe that I want to share with you today is for my grain free banana chocolate chip muffins. 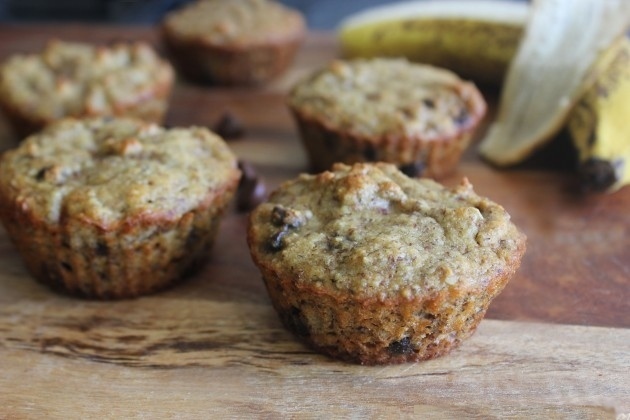 These little treats are packed full of energy, protein, potassium and healthy fats. As always they are super simple to make and I hope you find them a delicious as I did! In a bowl mix together all of the dry ingredients making sure to get rid of any clumps! In a separate bowl and using a hand blender mix together all the wet ingredients until smooth. Fold the wet mixture into the dry and mix together until smooth. Using a spoon scoop batter into muffin tray and Bake on 375F for 25 minutes and enjoy!